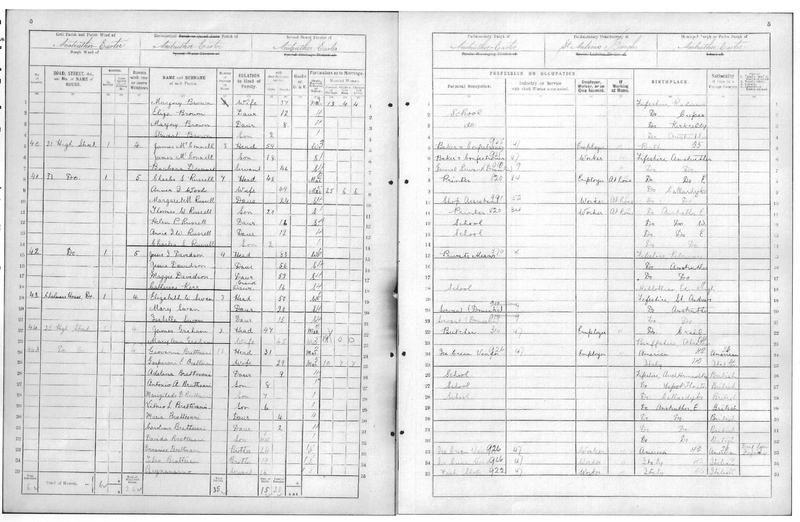 Another of the Branches of this extended Brattesani line is Giovanni Brattesani who married Ermerlinda Giuditta Speroni on 15th March 1901 in Borgotora. below is correspondence from Pete Cura posted into the San Vincenzo page. Thanks for this, its’ absolutley fascinating. I have a hunch that the ‘John’ or Giovanni mentioned in the third paragraph may have been my Great Grandfather but according to my father he may have been born in America, (as was my maternal Grandfather Attilio Dellanzo who’s family hailed from Rovinaglia),and did visit his brother there at a later date. It seems he left a brother and sister in each as Dave and Mary ran a shop and billiard room in Edzell and I didn’t realise I had an Uncle Peter and aunt Carolina in Crail until the former passed away. The only one I think is still alive is Jean. There may have been more. They were all first cousins with Louisa Tagliavino who I always visit when on ‘Hallowed Ground’. I think I’ve only met her son Luigi on one occasion. My mother’s Maternal and Father’s Paternal liniage are from Buzzo over the valley near Gotra and Albareto.. But that’ another story altogether. It’s been great teaming up with you all. Hope to speak again soon. In Scotland they had eleven children who settled in the Anstruther, Arbroath, Montrose and Dundee areas of Scotland. MANEGILDO DOMINOCO was born in 1905 in 25 James Street, Callander. VITTORIO LODOVICO was born in 1907in High Street, Anstruther. He marries Mary Vettesse in Dundee in 1939. Their respective parents were partners in a Billard Saloon in Brechin in Fife. They had two daughters Anna and Margaret. Maria’s parents were Giuseppe Vettesse and Filomena Canale. Maria had a long life and died at the age of 87 in Montrose Street in Brechin. Vittorio was not so lucky. He died in 1948 as a result of a drowning accident. Pietro was born in 1917 in Shore Street, Anstruther. He never married and was a confectioner by trade. He died in 1948 in Montrose. GENIA was born in 1916 in Shore Street, anstruther. TEREZINA was born in 1919. She married John Owen McBride in 1947 in St. James Church in lovely St. Andrews. Ermerlinda Speroni died in Anstruther in the year 1943 age 61 years. Her father was Gaetona Speroni and her mum was Cristina Lucia. In Stirling,Scotland there was another member of the Cura family. His name was Girolano Cura who had married Maria Feloni in London in the year 1889. They moved to the Stirling area where they ran an ice cream shop. Their children came along. John was born in 1885 in Baker Street in Stirling. The following year another son was born Adolpho Seraphino Cura. When i visited Anstruther in 1995, I was so pleased to see Brattisani’s was still there… and to enjoy a sweetie! Brattisanis in Anstruther had the best ice cream in the whole of Scotland. I remember Jimmy and Ena well as I grew up in Anstruther and still live here. How we loved our icecream drinks on Saturday nights after the dancing in the town hall at Brattisanis shop. I also remember on one wall was a large case full of smoking pipes and on the other wall were lovely boxes of chocolates.Also the counter had loads of sweetie jars on display.So glad I found this site just by chance it has brought back so many memories. Happy days. Franice Mc Bride still lives in Anstruther his wife has a lovely gift shop on the shore called Gibbles. Like Sandra Hughes, i remember Brattesanis being an institution in Anstruther in the 1950-1970 era. Great ice-cream. Great sweetie selection. I also remember Jimmy B. being an amateur bookmaker. Placed a few bets on the nags with Jimmy in the ’60’s !